Christo, known for his massive installation projects such as the “Surrounded Islands”, “Wrapped Kunsthalle”, and “Umbrellas”, is now closer than ever to realizing what will almost certainly be the largest and most permanent project of his career. 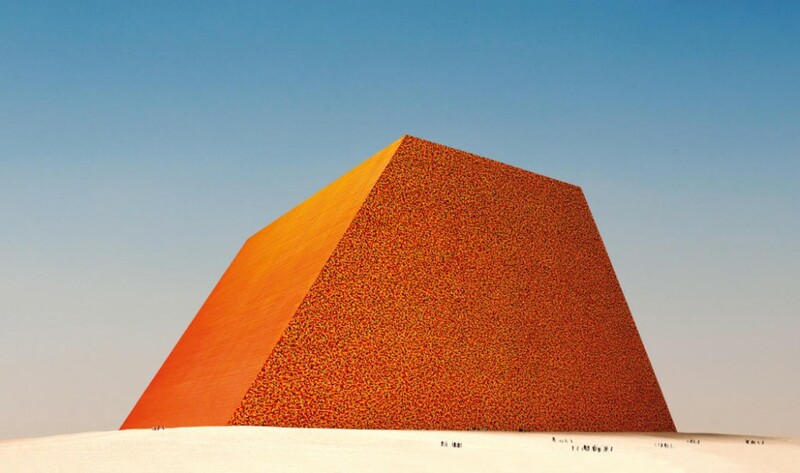 “The Mastaba”, a flat-topped pyramid made of 400,000 multi-coloured oil barrels, will be installed in the desert 100 miles south of Abu Dhabi. 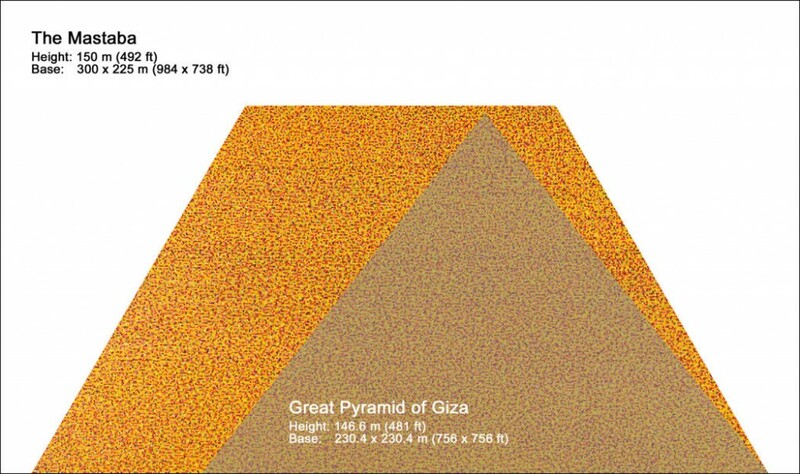 At an estimated cost of nearly $340,000,000, The Mastaba will be taller than taller than the Great Pyramid in Egypt and become the world’s largest permanent man-made structure. There is an argument to be made that this project is going to be one of the most important and awesome cultural expressions of the 21st century, perhaps a defining moment of the entire modern era. But the flip side of that same argument would suggest that, at a time when billions of people are starving and the oil industry inspires wars and environmental degradation on a colossal scale, this is an quixotically ridiculous and utterly wasteful idea bordering on international criminality and insanity. Part of Abu Dhabi’s ambition to become one of the globe’s centers of art and culture to go along with their new branches of the Louvre and Guggenheim museums, the emirate’s rulers have already approved of the location, near the Oman border. Construction will take 30 months and the oil barrels are being supplied by a German company. 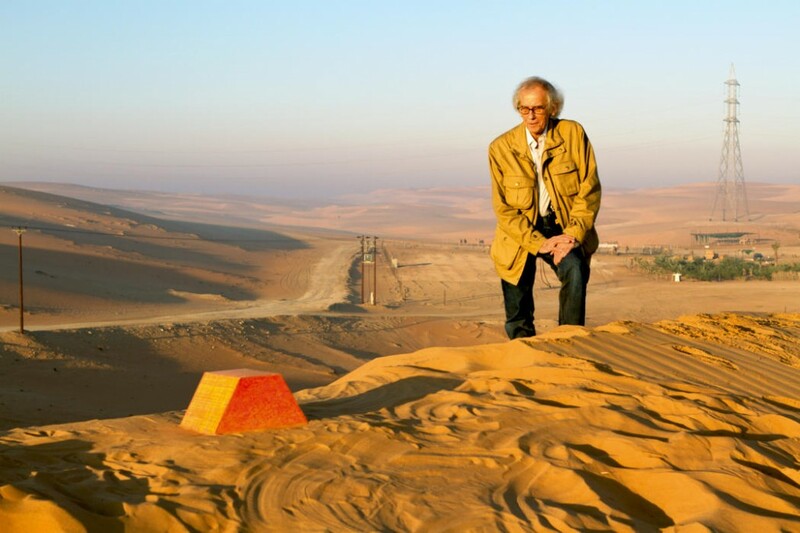 Christo is not commenting on the funding for the project beyond saying that some of the cost will be covered by sales of his artworks and from “independent” sources. 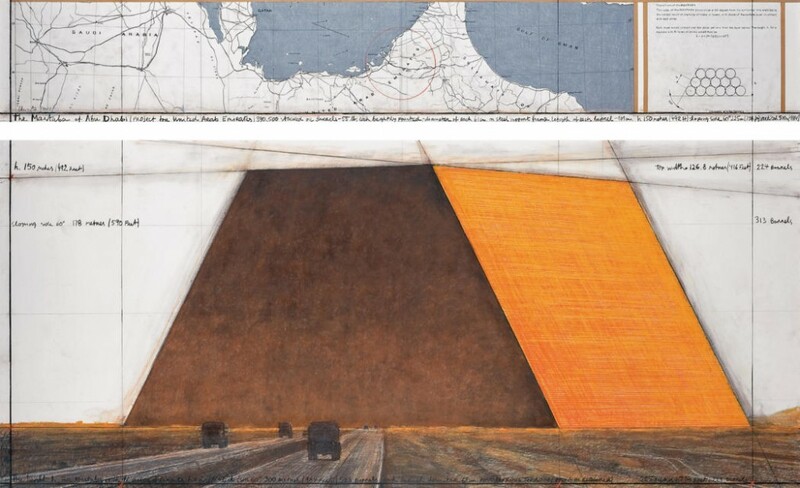 Christo’s projects throughout his life have always been controversial, both in the planning and realization stages, and this piece is sure to be no exception. Though this work, if it happens, will likely be awe inspiring when viewed in person, is it a worthy cultural use of so much money? Massive ambition is one of the most important characteristics of great artists but does our civilization really care to be remembered far into the future by a giant totem worshipping our addiction to oil? The early pharaohs built their pyramids with wealth derived from slave labor. This pyramid will be funded by the filthy lucre residue of our gluttonous need for energy. What is it about the barren deserts of North Africa that makes it so suitable for massive, permanent tributes to the very worst forms of human power? 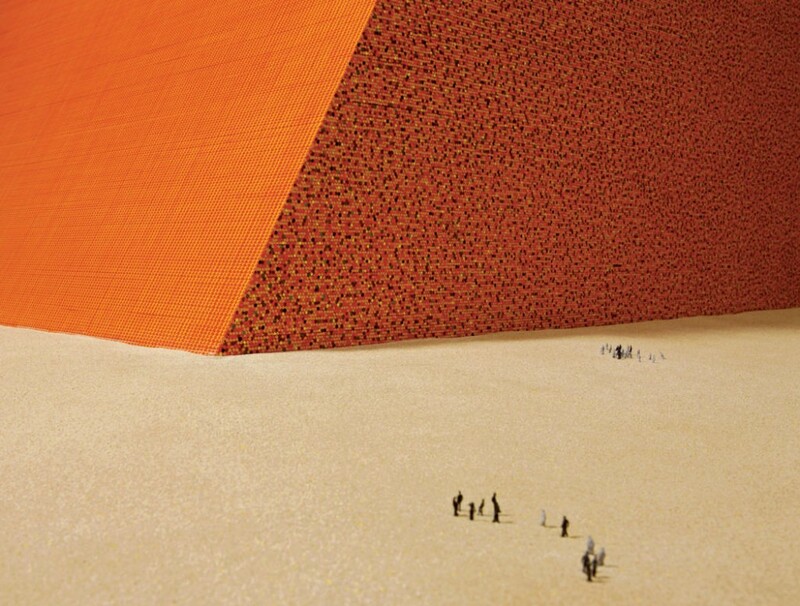 This entry was posted in Case Study and tagged Abu Dhabi, Christo, Christo and Jeanne-Claude, Mastaba, Randy Gladman, The Mastaba, the ministry of artistic affairs by Randy Gladman. Bookmark the permalink.